Bevellers are used to add definition to your carving, helping you make your 3D designs stand out, by lowering the swivel cut edges around them. The 'toe' of the beveller is placed into the lowest point of your cut, and the surrounding leather is then 'sloped' when you hit the tool with your mallet. 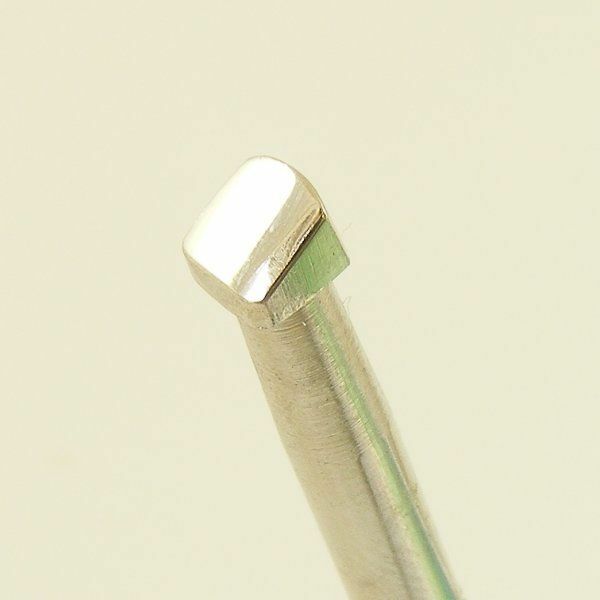 This tool measures 5.5mm x 5.5mm.